Reviews, reviews, reviews! Bear with me as I catch up on a massive review backlog! 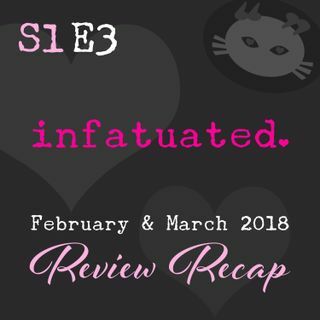 This podcast is all about my thoughts—snark and all—on my February and March 2018 review reads. It's a shortie, less than 14 minutes long, so pop in and give me a listen! Check out the show notes at http://bit.ly/GetIn-S1E3 for buy links and more!